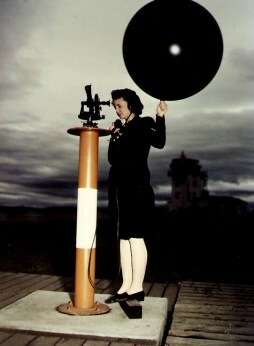 The pilot balloon optical theodolite was the first device to ‘track’ pilot and weather balloons. With the invention of the manned balloon in 1783 an urgent requirement for upper-level wind direction and speed developed. The term pilot balloon appears to have been introduced by navigators of manned balloon when they adopted the practice of releasing small paper balloon before an ascent in order to determine the probable direction of flight. On December 1, 1783, just before the ascent of the very first manned hydrogen balloon from Tuileries in Paris, a pilot balloon six feet in diameter was sent up.